Heidemarie Schwermer was born in Memel (former East Prussia). During World War II, she and her family came as refugees to Germany, where she grew up. She worked as a teacher for almost 20 years, before she left her position and became a psychotherapist. 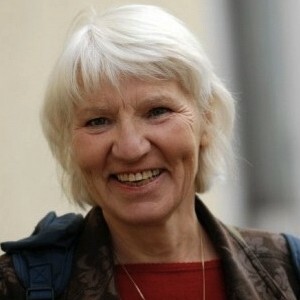 In 1994 she founded the “Give and take central” – Germany’s first exchange circle. Two years later, she gave away all of her belongings in order to make an experiment where she would live without using money and, slowly but surely, she has managed to step out of the existing structures and find a new way of living, free of worries and possessions. Heidemarie has published the book Das Stern taler experiment – mein Lebenohne Geld (“The sterntaler experiment – my life without money”).